Mpule Keneilwe Kwelagobe was born in Gaborone, Botswana, the third and youngest child of Justice Mothusi Kwelagobe and Dibelang Montshosi Kwelagobe. At age 17, while still in high school, Ms. Kwelagobe became the youngest woman to win the Miss Botswana pageant. 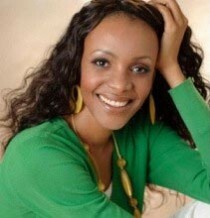 In May 1999, at the age of 19, Ms. Kwelagobe, as the first ever delegate for the Miss Universe pageant from Botswana, made history by beating more than 80 other delegates to win the competition. She was the first African-born Black woman to be crowned Miss Universe and the third Black woman to be crowned in the pageant’s history. Following her historic crowning the Botswana Post issued five commemorative stamps depicting Kwelagobe. During her reign as Miss Universe, Ms. Kwelagobe collaborated with the Harvard AIDS Institute and traveled to more than 20 countries in Africa, Europe, Latin America and the Caribbean representing the official cause of the Miss Universe Organization, HIV/AIDS. In 2000, Ms. Kwelagobe was appointed as the United Nations Goodwill Ambassador for Youth and HIV/AIDS, a position that enabled her to address members of the US Congress and the UN General Assembly as well as to speak at numerous global summits and conferences on youth and development. In November 2000, Ms. Kwelagobe launched the Botswana-based MPULE Foundation and began touring Botswana to fight against the spread of HIV/AIDS by promoting positive behavioral changes among youths and championing access to sexual and reproductive rights for women and youths. In 2002, the Government of Botswana awarded her a full scholarship to attend any university of her choice. Ms. Kwelagobe selected Columbia University in New York City and graduated in 2006 with a degree in International Political Economy. The World Economic Forum selected Ms. Kwelagobe as a Global Leader for Tomorrow in 2003 and as a Young Global Leader in 2006. In 2011, Ms. Kwelagobe founded the MPULE Institute for Endogenous Development, a New York City-based advocacy and public policy think tank that champions green initiatives, sustainable development in agriculture, gender equity, and women’s and youth empowerment. In 2012 the MPULE Institute launched a campaign to advance gender equality in rural and agricultural development in Africa. As President of the MPULE Institute, Ms. Kwelagobe heads the Network of Women Investing in Africa (NEW Africa) Leadership Program and the African Youth in Agriculture, Rural Innovation and Social Entrepreneurship (Africa Youth ARISE) initiative. Both programs invest in the next generation of leaders in agricultural development and seek to advance gender equality and youth empowerment in Africa. Ms. Kwelagobe also is the recipient of The International Association of Physicians in AIDS Care’s (IAPAC’s) Jonathan Mann Health Human Rights Award and sits on the international board of the Agriculture and Food Security Center at Columbia University’s Earth Institute. Based on the literature on international development and personal success, why has Ms. Kwelagobe been so successful? Ms. Kwelagobe recognized that GREAT CHALLENGES CAN ALSO BE AREAS OF GREAT STRENGTH. For Botswana, and for most of Africa, young people are not only tremendous assets, but their sheer numbers also present great challenges. Rather than be daunted, Ms. Kwelagobe has focused on the positive and made advances for youths her goal. Ms. Kwelagobe, like a growing number of development experts, has recognized the importance of INVESTING in Africa’s future (as opposed to giving handouts). Her organizations work with others to offer scholarships to entrepreneurial youths with great ideas to better their communities. Among African youths, Ms. Kwelagobe focuses on females due to the tremendous opportunities for change. Women currently produce 80 percent of the food on the continent, are responsible for half of all of the agricultural output (whether for food or for export), but earn only 10 percent of incomes and hold just 1 percent of assets. Yet when women obtain funds they are much more likely than men to invest children’s health, education and nutrition. Women are vital to successfully addressing issues of food security, hunger, and poverty in Africa.